If your blood pressure was OK yesterday, you might want to check it again. A task force of the American Heart Association and the American College of Cardiology announced that 130/80 now indicates stage one hypertension. Previous guidelines had the number at 140/90. Joining us to talk about the changes are Dr. George Bakris, the director of the University of Chicago Medicine’s Comprehensive Hypertension Center who reviewed the new guidelines; and Dr. Richard Cooper, chair of Loyola’s Department of Public Health Sciences at Loyola University Medical School. Is this new guideline a good idea for everyone, both young and old? Dr. George Bakris: The guidelines are not one-size-fits-all. It’s not about the number. It’s about your cardiovascular risk; if it’s more than 10 percent over 10 years, then the treatment needs to be more aggressive than not. Patients need to be educated on lifestyle, sleep, exercise. But also get low dose of meds. High-risk studies that have been done show you can prevent problems. Obesity is a major issue in this county. A blood pressure which is okay at 30 may not be okay when you’re 18. Lower isn’t better in everybody. The new guidelines are designed to be a signal to take action. People will have an easier time of it down the road with less risk. We’re focused on taking action in smart individualized way. Does this mean more people will be medicated? Bakris: Yes, a larger portion of the population will be medicated, but they will be medicated because of risk. Without treatment, there are risks to injuring vessels and organs. The patients can also make changes to those numbers through lifestyle changes. There needs to be more attention paid to blood pressure, diet and giving medications appropriately. So yes, a higher number will be medicated. But medications aren’t a bad thing, they are if used inappropriately. Cooper: A research study Loyola was involved in showed if the systolic guideline was lowered to 120, it would prevent 107,500 deaths per year in the U.S. The new guideline is not 120, it’s 130. So how many lives will be saved with the 130 guideline? The trial that the 120 guideline number is based on is the SPRINT Trial. We gave regular care to the patients with the blood pressure guideline of 140. Then some people had a guideline of 120. There was a 25-percent reduction of heart attacks with more treatment intensity. It’s hard to say the number of lives saved with the 130 number, but it probably wouldn’t be less than half. The data we used was based in a trial, not the entire population. Are you concerned about more people being put on medication? Cooper: Many people are concerned. But side effects are rare. A few get a rash from some drugs, and some raise serum potassium. But these drugs have been around for 50 years, so they are very safe. Oct. 16: Researchers from the University of Illinois at Chicago will investigate how social determinants like poverty and living in a food desert contribute to the health of marginalized groups. May 15: Leaving segregated neighborhoods reduces blood pressure in African-Americans, according to the findings of a 25-year longitudinal study. 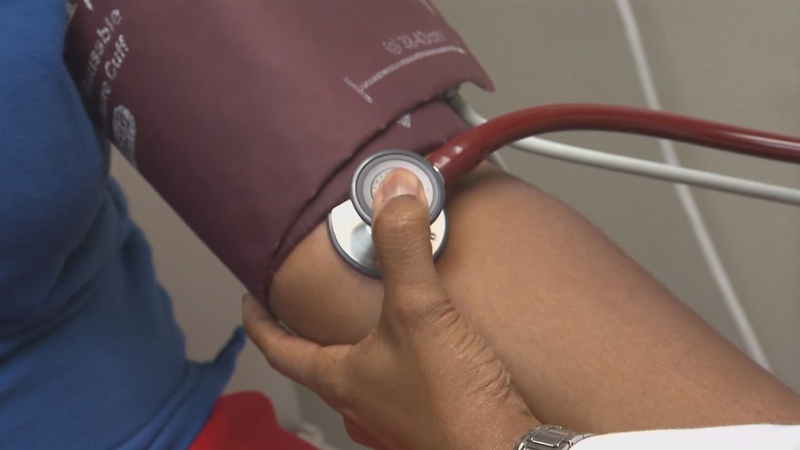 Sept. 26, 2016: Nearly 107,500 lives could be saved each year in the U.S. if a more intensive approach to lowering high blood pressure was implemented, a recent study asserts.